H.H. Sheikh Sultan bin Zayed Al Nahyan, the President's Representative, today attended the final race at the Suwaihan Racetrack, held as part of the two-day Sih Al Shait Camel Racing Festival. Sheikh Sultan honoured the winners of the 54-run race meeting and congratulated them on their respective wins. 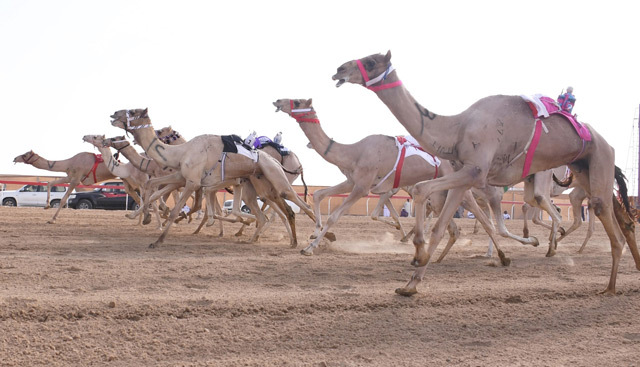 The Sih Al Shait Camel Racing Festival was held under strict rules, including banning the use of whips and fielding of only purebred local camels.